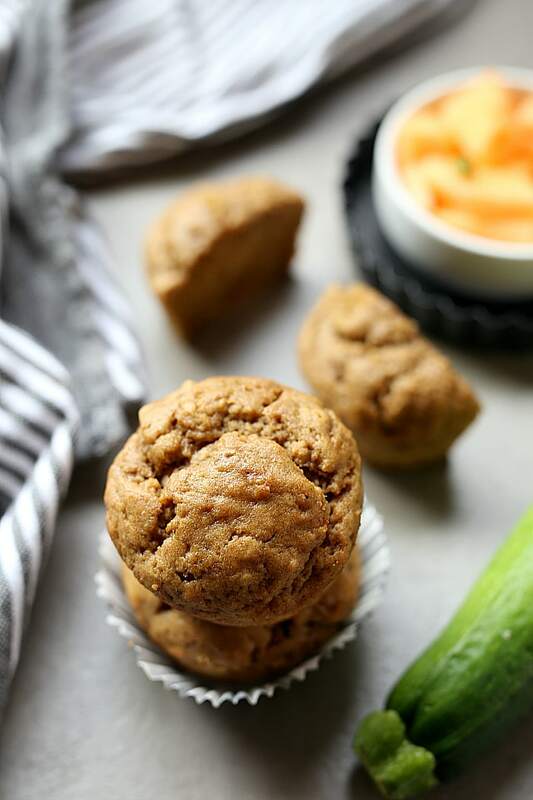 Blender-ready Banana Zucchini Muffins are the ultimate healthy breakfast! Packed with nutritional banana and zucchini (courgette). You do not need to grate the zucchini, simply blend in a blender, mix with your dry ingredients and bake! A couple of months ago my 5 year old got to bring home from school a special stuffed animal with a job to take care of it a week. His name is Bono and he is an adorable two feet tall monkey! He comes with a back-pack, tooth brush, special bedtime stories, diary and instructions on what needs to happen in his daily routine. Let’s see if my little monkey can care for his little monkey! Well, my boys are obsessed with Curious George stories, movies, television shows and anything to do with the man in the giant yellow hat. As soon as we got home from school Chase grabbed the most comfortable rectangular basket from the closet and carefully set up blankets and a tiny pillow for Bono. As he tucked Bono in his bed for nap time he read him Curious George, kissed him goodnight, turned on the sound machine and let his little monkey friend rest. Bless his heart! It is beautiful to see how children mirror everything we do! After nap time we set up a gorgeous snack-time buffet of peanut butter coated banana chunks, carrots, broccoli and muffins! And every day we wrote in Bono’s diary sharing with the next person that takes him home his adventures! Bananas are an easy cheap snack that we never are without. I always have one in my purse for when someone has another hangry meltdown. 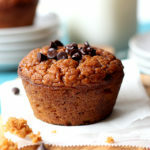 They are so tasty too in banana muffins and zucchini recipes. 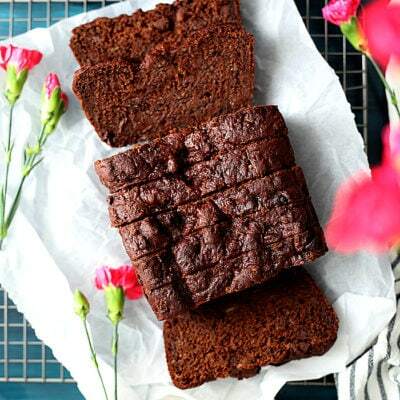 Bananas hold rich starchy sugars that sweeten baked goods without having to add much extra sugar! They also make baked good super moist, which is perfect if you want to skip using oil. And don’t even get me started how much I love zucchini! Zucchini is one of those vegetables that you can use in just about any recipe without even suspecting it is in there. It is my favorite summer squash that I like to use year round, not just during the summer months. 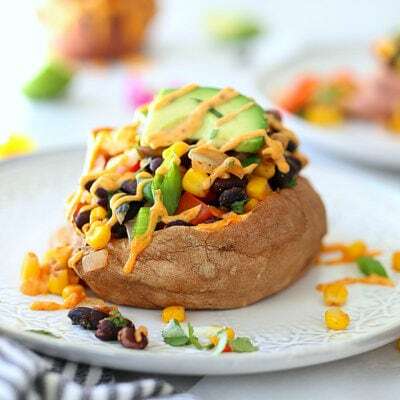 I am constantly pureeing or chopping it into soups, muffins, zucchini bread, zucchini oatmeal chocolate chip cookies and Mexican dishes like this vegetable enchilada casserole. Simple blend 1 cup of chopped zucchini with 2 eggs, banana, apple sauce and vanilla extract. The zucchini holds tons of water naturally so you will not need to add extra water or oil in this recipe making them low fat! *Note: The riper the banana the sweeter it will be. 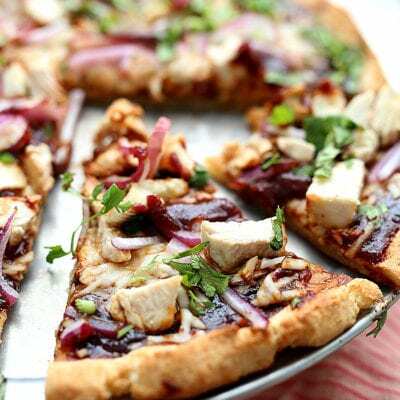 Try to use a banana that is almost black in color or a rich brown tone. You can speed up the process by placing a banana on a baking pan with the peel on at 350 degrees for about 15 minutes. It will start to become fragrant when it is getting close to ready. Mix together all of the dry ingredients in a bowl then add the wet ingredients and mix well! Bake the muffins until a toothpick inserted comes out clean in the center one. This will be about 18-22 minutes, depending on the oven as each oven is different. 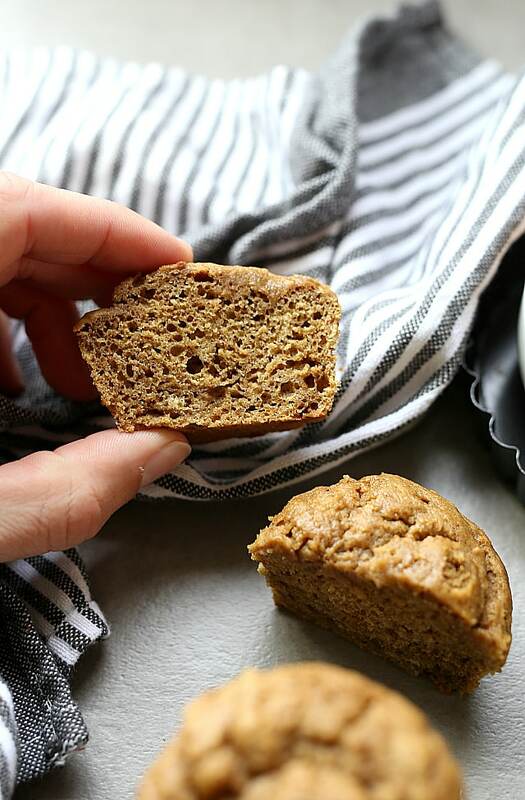 You can also turn this into healthy banana zucchini bread by pouring the batter into a prepared bread loaf pan and baking it for 50-55 minutes. 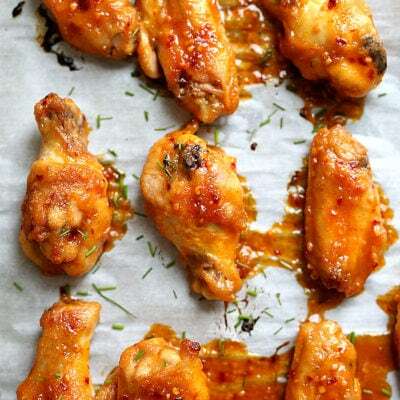 You can spread with butter or coconut oil and warm in the microwave for 10 seconds to re-heat. 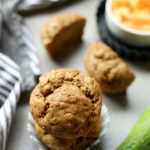 Once you make these banana zucchini muffins you will be making them all the time! 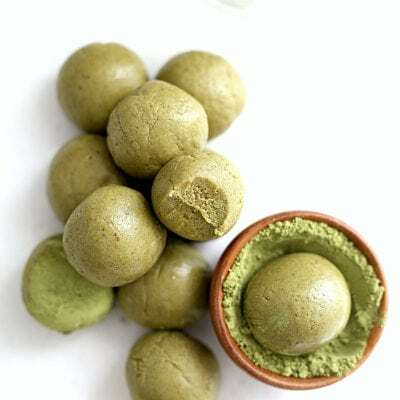 They are rich in flavor, not overpowering with a banana aroma, sweet, heavenly, and flavorful! 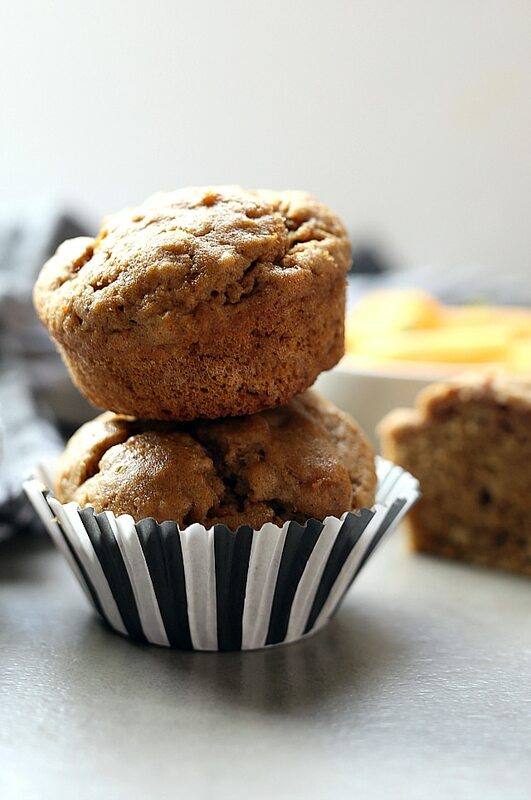 Banana Zucchini Muffins are the ultimate healthy breakfast! Packed with nutritional banana and zucchini (courgette). You do not need to grate the zucchini, simply blend in a blender, mix with your dry ingredients and bake! Preheat the oven 350 degrees F. Spray with cooking spray a silicone muffin pan or line and spray with muffin cups. 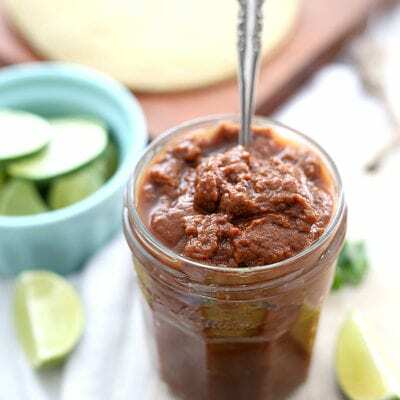 In a blender add the chopped zucchini, banana, apple sauce, eggs and vanilla extract. Blend until very smooth. In a large mixing bowl combined the gluten-free flour, tapioca flour, sugar, cinnamon, salt, baking powder and baking soda. Blend well and until fully combined. Add the wet ingredients into the dry ingredients. Pour into 10 of the prepared muffin cups. Bake for 18-22 minutes or until the tops are slightly browned. Let cook for 10 minutes before transferring to a cooling rack.